How to disable Chrome auto update? Well, this is complete way to do it. Recently, my chrome browser has made its automatic update from v.29 to v.30. I don't see any significant changes of chrome features, but one thing really bothered is that chrome force extra CPU consumption and make my laptop really hot. This is silly, even when I disconnect the internet and only open on tab, my CPU temp reach 69*C. Then I close chrome and CPU temp back to around 40*C.
You can do this by pressing the Start + R button to execute Run, then type "msconfig" (no quote) and press enter. 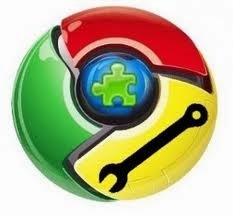 See the start up tab and find list of program related to chrome update (usually GoogleUpdate), uncheck it and apply. For Windows 8 user, simply hit Esc + Shift + Ctrl (shortcut combination to execute Task Manager), click on start up tab » find google update » right click on it and choose disable. For xp, vista, 7 user You can disable chrome auto update by pressing Start » All Programs » Control Panel » Performance and Maintenance » Scheduled Task » delete scheduled task file. Windows 8 user, press Start then type schedule » click setting from the right pane (the scheduled task will appears). See the "active task" tab then find list of task related to chrome update scheduler. Once you found it, right click and delete (must delete). Sometime chrome reschedule the task (rarely happened), this means You'll have to repeat the steps above. Or the final solution to prevent chrome from updating is to delete any file related to update process. You can find the file from your User profile » Local setting » application data » Google » Update. This is perfectly works for me, You can try it!